Sailing north along the west side of Virgin Gorda. The sailing remains fabulous. I love it here. The sailing is just gorgeous. The water is beautiful. We continue to meet all kinds of interesting people. On a mooring off the beautiful Baths. We departed Cane Garden Bay on the morning of 2 March. 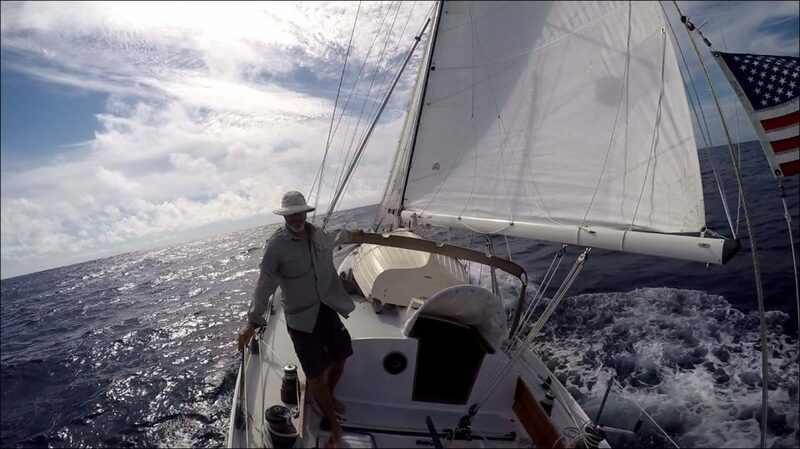 We sailed south along the west coast of Tortola on a broad reach with a single reefed main and the working jib in about 15 knots of wind from the east wind.